The pre-K2 buyout, Bozeman-made Dana Design packs have achieved cult status. Some of this is the mythology of rarity, but a lot of it is based in fact. They’re heavy, and lack a few refinements considered mandatory today, but nothing subsequently made has been both as durable and had as good a load carry. Shown below is a size small Arcflex Terraplane, with small straps and belt, and a size large ArcFlex Astralplane with large straps and belt. The Astralplane was larger than the Terra, and came with full side-access zips. My parents bought these for an Alaska trip back in 1996 or 7. They’re in really good shape. I’m selling them on their behalf. Anyone interested? Leave a comment and I’ll email you. Several things make these packs what they are. Above all else is the construction quality, which is better than anything I’ve seen from any manufacturer (cottage or mainstream) in the last five years. The stitching is immaculate, and all stress point are anticipated and reinforced by design, rather than just an extra bit of stitching and/or material. 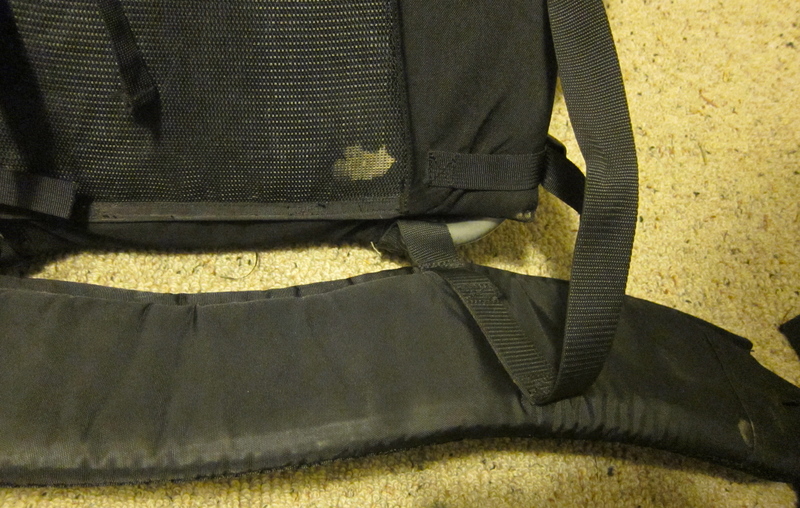 The shoulder strap attachments are one example. 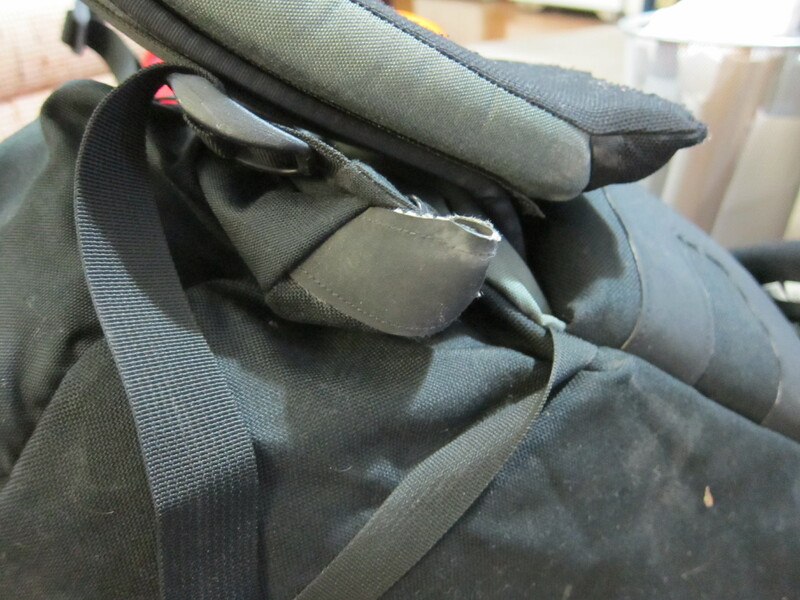 Stout webbing backed with velcro is sewn into the main seam, and the straps themselves velcro and buckle on. 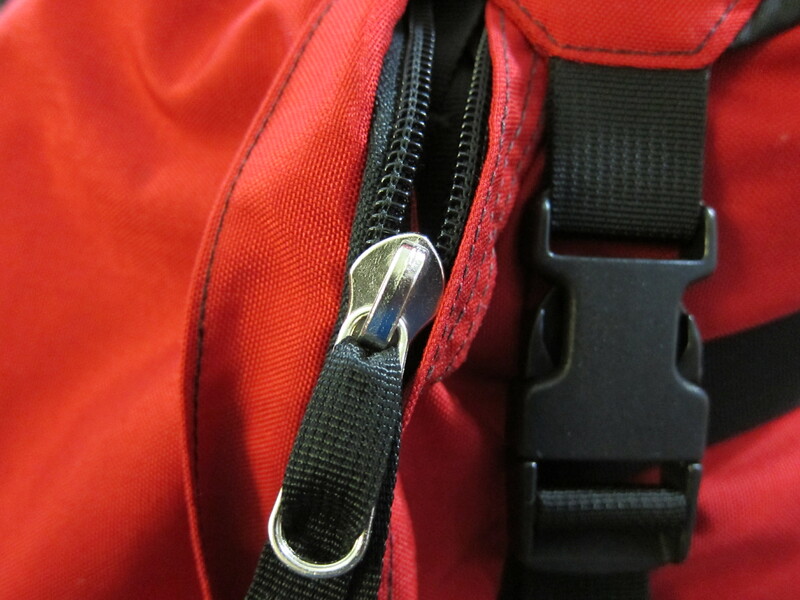 This gives them some adjustment, as well as requiring only two layers of webbing be sewn to the pack body. The second thing which makes these packs work so well is the suspension. A single 1″ by 1/8″ 2024-T4 aluminum stay runs from the haul loop down into the lumbar pad (i.e. in front of the hipbelt). A stout plastic sheet runs wall-to-wall within the lumbar, and the same piece continues into the main back, and then up to the load lifters. 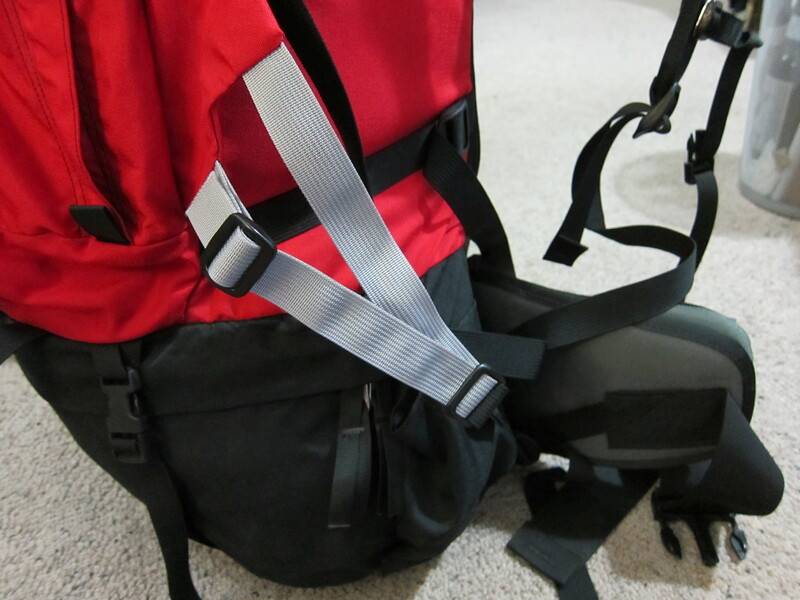 There is a large triangular cutout above the haul loop, which in concert with the internal compression strap creates headroom, even when the pack is stuffed. Lastly, fiberglass rods run from the outside corners (reinforcement pockets shown above) to the load lifter buckles. These flexible rods do an excellent job of augmenting vertical stiffness without being excessively stiff. The alu stay is unyielding for support, while the rest of the frame is just stiff enough. The hipbelt is also worth noting. There’s a stiff plastic cradle which is structurally separate from the pads, which attach via velcro and a buckle. This gives the padding enough flexibility that there is no gap between the belt and lumbar pad, a common symptom on packs designed for heavy loads. So why sell these? For most users they are just too heavy. I need a new scale, but I’d guess around 7 for the Terra and close to 9 pounds for the Astral. Unless you’re a guide, wilderness ranger, or trail crew worker you simply do not need the durability built into these packs. If you are one, or know one, get in touch. Weight savings in a pack designed for abominable loads is an interesting problem. Cutting weight with lighter fabrics beyond the harness area is low hanging fruit, but in addition to durability problems being exacerbated with heavy loads (i.e. seam retention), this doesn’t get you too far. The multi-layered hipbelt which works so well here adds four layers of fabric, and results in a belt which weighs as much as modern UL packs. The belt on the Paradox packs evolution is an interesting solution to this problem. It uses the external frame to remove any force other then downward from the belt, which is thus saved from needing any sort of rigid structure, and thus weighs a fraction of what the Arcflex belt does. The Paradox Evolution load transfer system is one continuous piece of webbing per side. Simple and strong. I can attest to the durability of my ’92 Terraplane. I have used mine about once every three weeks to haul a 50-70 lb for training. It still looks like new and will outlast me. 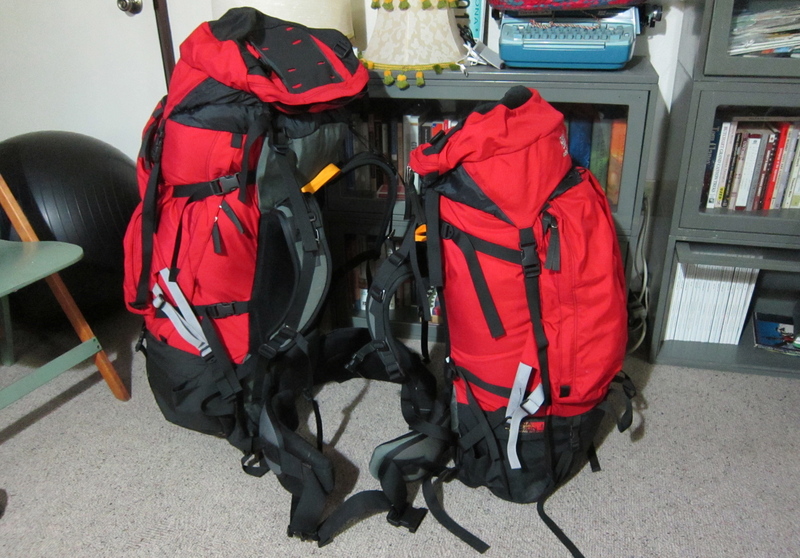 If you are a mountaineer and need to haul 80 lbs on an expedition, packs like these and the Gregory Denali Pro are still the “go-to” packs. It is just no fun when the pack is so heavy (I am 6′ 2″ and 185) that you can’t swing it up on you. Then, you have to lay the pack down on its back, squirm into the harness, roll over, and push yourself up to stand. There is a strong market on e-bay for such packs like yours in mint condition. E-mail me re. The Large Astral. I had a Arcflex Alpine (a Terraplane wtih a beavertail), which eventually got a little thin in a few places on the bottom, but that was after 1.5 years of guiding wilderness therapy. The Paradox pack I’m testing carrying as good or better, but wouldn’t hold up that level of weekly abuse as well. Dad has one of these in the closet. Excellent pack. Still comes out when he needs to haul lots of climbing gear. You can carry 50 kg ‘fairly comfortably’ with this one. 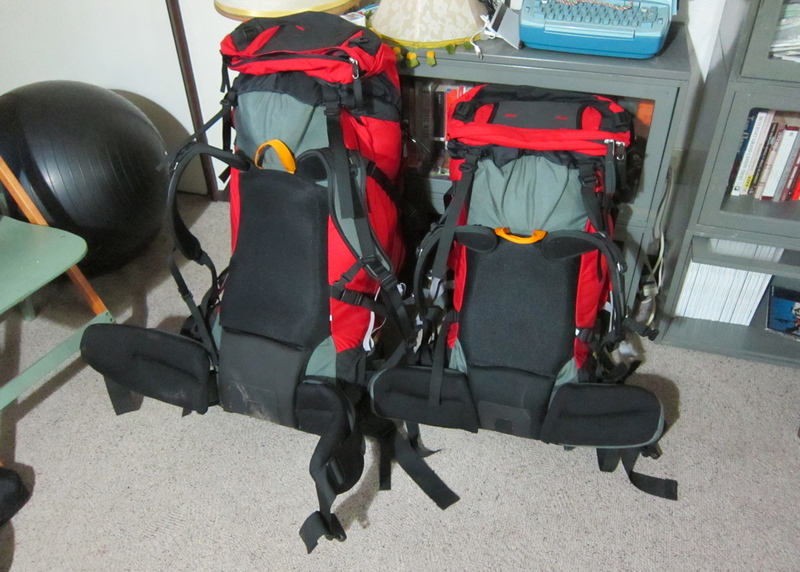 Good to study old packs for heavy loads. Lots to learn. They look nice but heavy. I’m set for winter already with a tried and true Cold Cold World made out of packcloth. Works best for me. You might want to keep them. Amy and I still have ours from our days guiding Denali and find them ideal for packing out an elk. Had I not found more comfortable packs at 1/3 the weight I’d agree. I wanted this post as a reference for using the Dana attributes in future projects. I’m interested in the size small – still available? We are very interested in the small size terraplane!! do you still have it? Are the packs still available? The large pack is, the small pack is not. How much are you asking for the large pack? 150 shipped in the CONUS, a bit more shipping elsewhere. 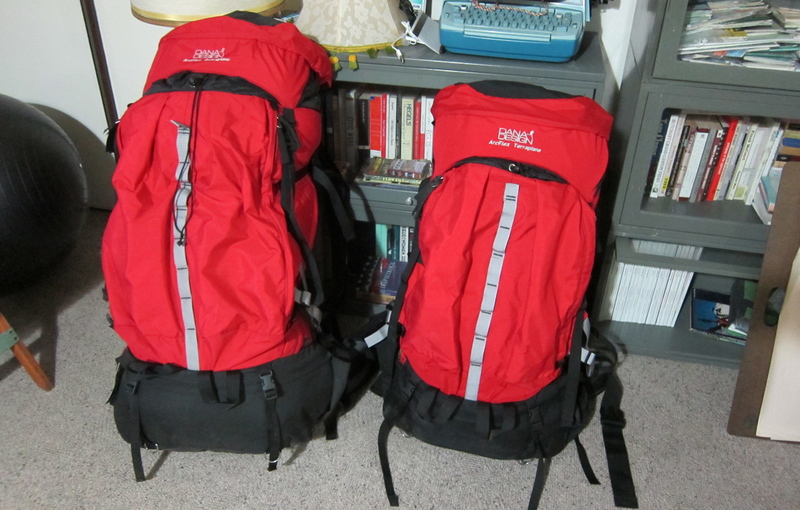 Are the pack in like new condition as shown in the photos? Is there any chance you have a medium sized belt? I’d love to take that large ArcFlex off your hands! Planning a long ski/packraft trip next month up here in alaska and I’ve been searching all over the place for that pack. Give me a shout! This is a shot in the dark but I just bought an old Astralplane (Made in Bozeman). I have a Medium belt in my large DD ArcFlex Astralplane that I would be happy to trade for a large belt if anyone needs a medium and has a large. I’m not sure anyone is still following this post, but I just found a Dana Design Terraplane X in my basement. It was “crafted with pride by skilled hands in La Paz, Mx” in 1999. My husband used it once on a trip to Mt. Rainier. Any advice about selling it? The eBay market isn’t bad. For mint condition 200 wouldn’t be unreasonable to start. That it isn’t Bozeman made knocks the value down a bit.